A festoon is an arrangement of flowers, fruit and/or foliage. The word comes from the latin festo ; festive, holidays. 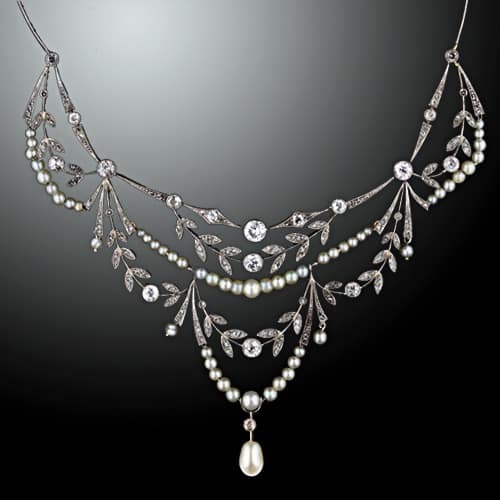 Festoons became a popular motif in jewelry during the Neoclassical period.